The Tennessee Valley Authority and its customers will get a bigger share of power in the future from the sky than from under ground, according to proposals included in a new long-range power plan being prepared by the federal utility. TVA expects to boost the electricity it gets from the sun anywhere from 4 to 9 gigawatts of power over the next two decades while cutting the share of power generated by burning coal mined from underground sources. The amount of the energy shift from coal to solar sources depends upon a variety of economic, regulatory and consumer practices. But in all 30 of the different approaches analyzed by TVA for the future in its draft Integrated Resource Plan for 2040, renewable energy is projected to increase and coal generation will decline. TVA has already shut down its John Sevier, Widows Creek, Colbert and Allen fossil plants and plans to shut down its Paradise and Bull Run coal plants in the next three years. "Solar is becoming less expensive and a least cost option in the future so we do see a build out in solar capacity in all different scenarios," Hunter Hydas, a project manager for TVA's new Integrated Resource Plan, said during a Chattanooga hearing on the plans Wednesday night. Solar is expected to gain favor from businesses interested in using more renewable power, individual homeowners installing rooftop solar panels, community groups sharing ownership in solar installations, and from utility-scale solar farms by TVA, Hydas said. But while TVA turns more to the sun, wind energy is not expected to be cost effective or reliable enough to compete for new generation compared with solar or natural gas generation. TVA is proposing to target energy efficiency programs for low-income households which often disproportionately use more power from their older, less energy efficient homes. But the utility is not planning under most of its strategies to significantly boost incentives for energy efficiency since electricity demand is already stagnate or declining. Bill Moll, a Red Bank resident who is a chapter president for the Sierra Club, said he is disappointed that TVA isn't doing more to encourage more its customers to use less electricity and provide ways to cut consumption. "We don't think TVA has done enough to look at energy efficiency," Moll said during a Chattanooga public hearing on the new integrated resource plan — the fourth of six such planned meetings. "The best way to deal with energy is to not need it in the first place." But with more energy efficient appliances, furnace and buildings, electricity consumption has already declined from the peak reached a decade ago in the Tennessee Valley. For the first time in its 86-year history, TVA is proposing not to build any new baseload power generation in the next 20 years. The only new generation to be built or added will be designed primarily to replace aging plants being phased out, according to Laura Campbell, vice president of enterprise planning at TVA. The only new nuclear power plants envisioned in the next 20 years would possibly be a small modular reactor test plant, probably built in Oak Ridge. 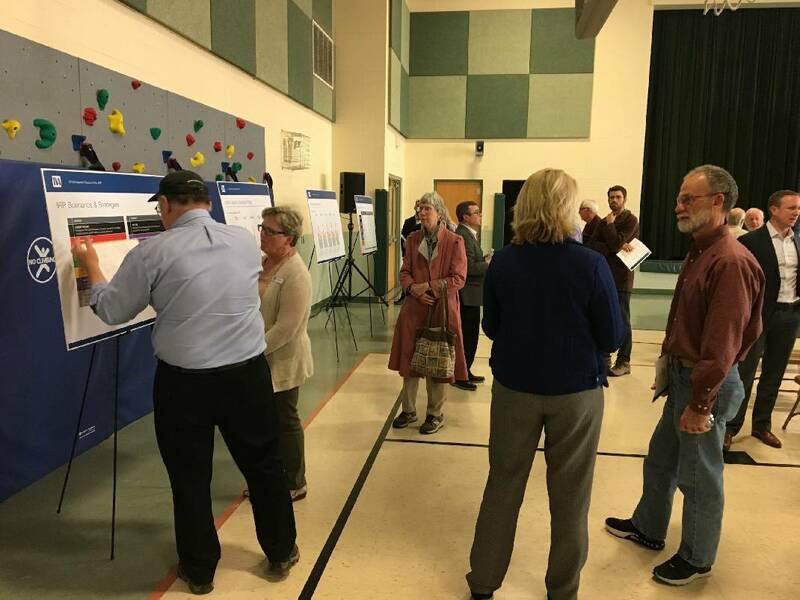 The new Integrated Resource Plan, which the TVA board plans to adopt in August, is still being shaped by public comments and input, which may be offered until April 8. The plan updates the previous long-range power plant adopted in 2015.